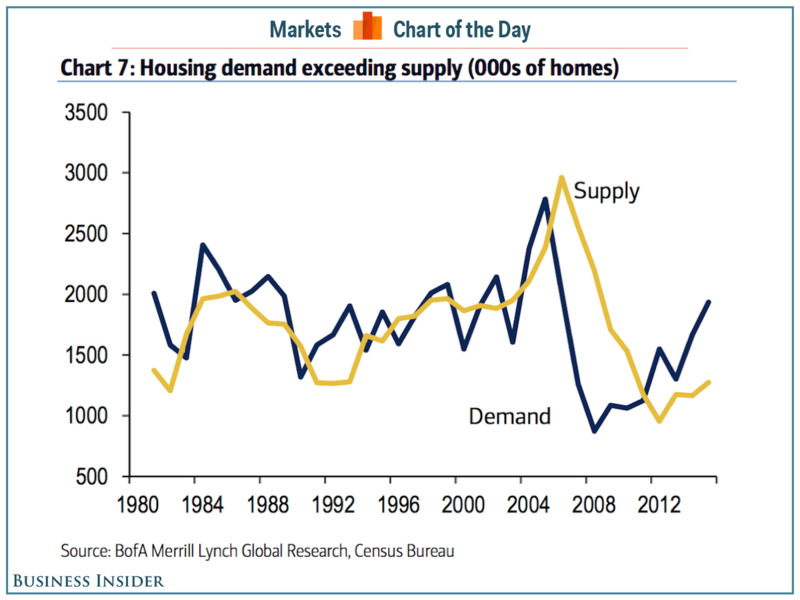 The next housing crisis is here and this time it is all about one thing: supply. 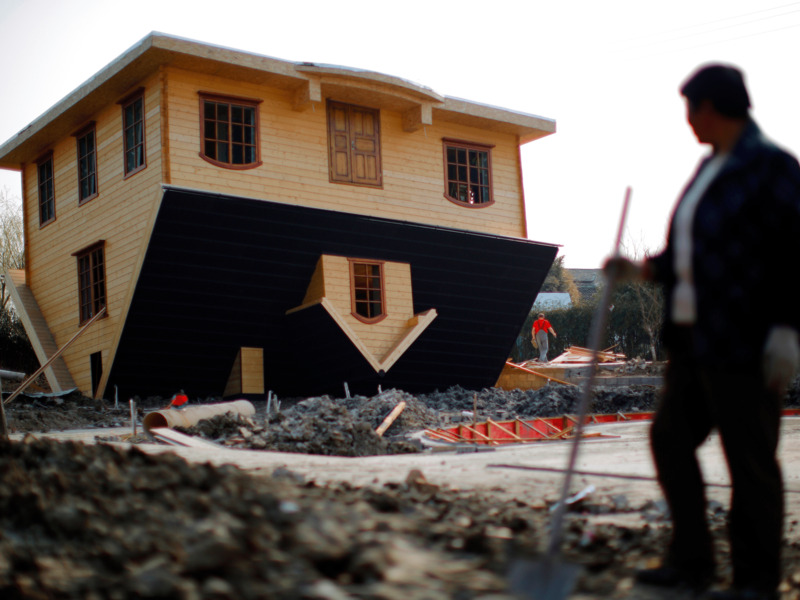 Following the mid-aughts housing bubble that saw homeowners across the country get themselves upside down in homes and mortgages they couldn’t ever afford to repay — a crisis that was as much about too much supply as it was about too much bad financing — the market has gone the complete other direction. First-time home buyers are crowded out, with Trulia’s chief economist Ralph McLaughlin writing Monday that the number of starter homes on the market has declined 43.6% in the last four years. Homeowners that want to move from a starter home to something better can’t afford the next step. McLaughlin notes that the number of “trade-up” homes on the market is also down about 40% over the same period. Meanwhile, mortgage lenders, despite record-low rates, are still reluctant to extend credit to less-than-superb borrowers. And as investors look for places to earn whatever return on capital they can muster, the low-end of the housing market has almost ceased to exist as the investor class has bought up homes with the plan to flip them. On Monday, the latest report on existing home sales showed the pace of sales fell 7.1% to an annualized rate of 5.08 million in February. Compared to last year, the pace of sales is still up 2.2% from a year ago. Additionally, this report showed that sales to individual investors — or buyers who intend on flipping the home for a profit — accounted for 18% of existing homes sold in February, the highest share since April 2014. Almost two-thirds of these buyers paid cash. Also in Monday’s report, commentary from Lawrence Yun, chief economist for the National Association of Realtors — which publishes the existing home sales report — showed the kind of crisis the housing market is facing. “The lull in contract signings in January from the large East Coast blizzard, along with the slump in the stock market, may have played a role in February’s lack of closings,” Yun said Monday. This chart from Bank of America Merrill Lynch, which we highlighted earlier this month, captures the dynamic Yun is talking about here. 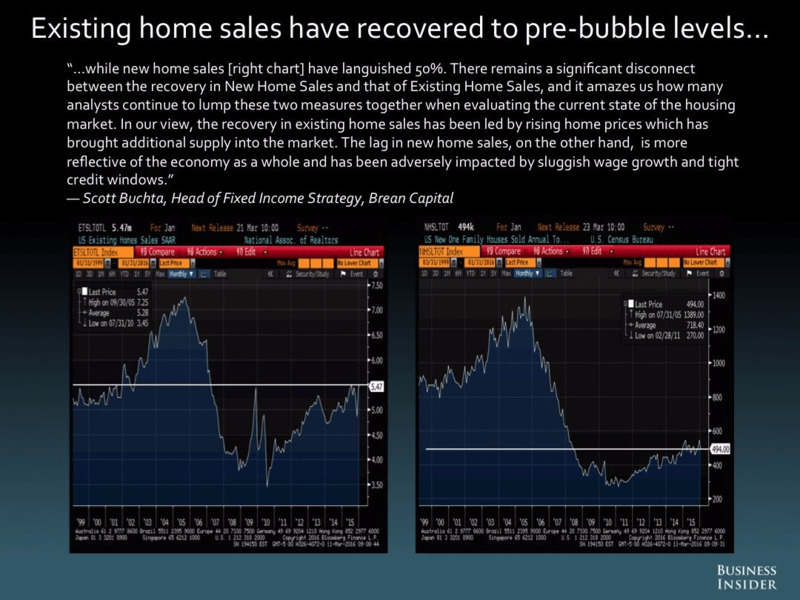 In our latest Most Important Charts collection, Scott Buchta, a fixed income strategist at Brean Capital, argued that existing and new home sales are often incorrectly conflated as joint indicators on the health of the housing market. Existing home sales, even with Monday’s drop, are still roughly near pre-crisis levels. This argues that in a healthy housing market we’re looking at something like 5 million already-built homes being sold in a given year, more or less. New home sales, on the other hand, have been a major laggard. “In our view, the recovery in existing home sales has been led by rising home prices, which has brought additional supply into the market,” Buchta noted. This view which is consistent with the increase in investors buying existing homes as well as the high number of cash-only sales, which accounted for 25% of transactions in February. Buchta’s colleague at Brean Capital, Peter Tchir, also hammered on this idea of new home sales as reflecting economic trends that have persisted since the crisis — slow wage growth, rampant concern about the future, and an under built low-end housing market have all kept renters renting. If we take the view that the jobs currently being created aren’t that great — which is another argument for another post — then what we’re going to see is a rising class of renters. “These low paying jobs are not the type of job that are conducive to buying a home,” Tchir wrote. And if we consider that the economy is, as much as anything, a confidence game, the reality is that instability and imminent collapse have been the dominant psychological themes for both consumers and investors since the crisis. So we can hit on the theme that the US economy is not heading for recession time and time again, but there is a reason Donald Trump is leading in the Republican polls: people do not believe in this economy. The upshot here is that with more folks renting and the labor market recovering faster than the housing market, we’re suddenly looking at a new class of well-employed, would-be home buyers relegated to renting… and paying ever-increasing rents. 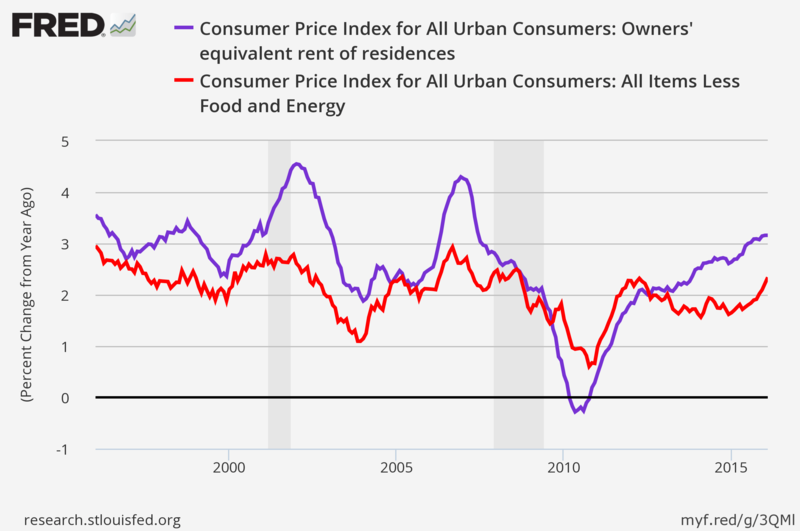 And this is likely to manifest itself in more inflation, something we’ve noted has been a fast-growing trend in the US economy despite the Federal Reserve’s clear talking-down of this recent move in last week’s policy announcement. Earlier this month we highlighted commentary from New River Investments’ Conor Sen who said, among other things, that the housing market has simply been under built following the crisis and is ill-prepared to handle the coming wave of millennial households that will be formed over the next several decades. Home prices may increase and as an investment — not a place to live — buying houses may still be attractive for some time to come. But demand for housing is not going away and will only get stronger. Millennials are growing up and despite all the trend-piece fanfare suggesting otherwise, will be just like their parents: Millennials will have kids, move to the suburbs, and want to buy a house. The problem is there might not be enough houses, at the right price points, to go around. This entry was posted in Housing, Housing Market, Real Estate, Retail Sales and tagged Housing on March 21, 2016 by Bone Fish.